Summer 2014 was our 25th Anniversary Celebration! Welcome to the Chappaquiddick Community Center! HAPPY 30 YEARS CHAPPAQUIDDICK COMMUNITY CENTER! We are your community center! Chappy is a community that lives, summers and visits on Chappaquiddick. 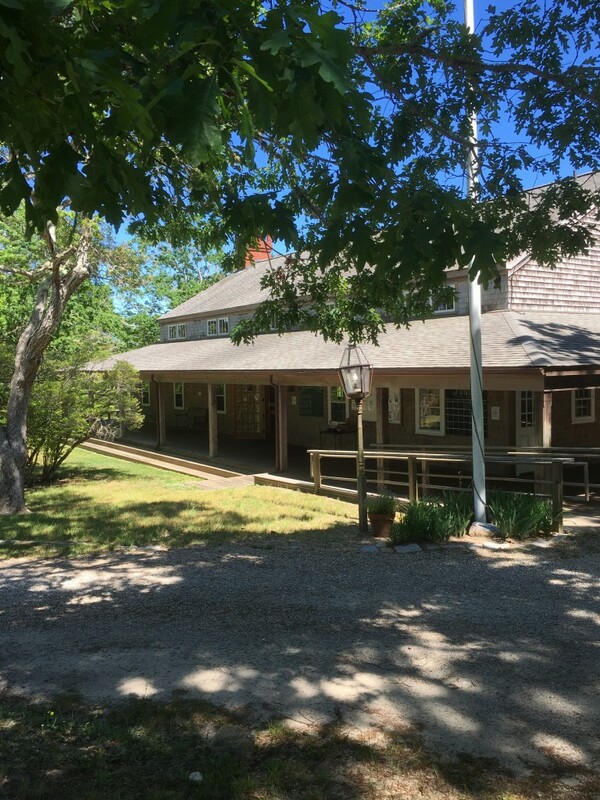 Our center is located 1.5 miles from the Chappy Ferry at 180 Chappaquiddick Road. There is something for everyone at the Community Center. From exercise classes to sailing classes to book groups and ice cream socials; you will always find something fun going on at the Community Center. In the summer, we open our doors to seasonal and year-round residents as well as visitors. A variety of programs, classes, activities and social events are offered. Sailing, tennis, yoga, Tai Chi, basketball, Mah Jong and table tennis are just a few of the activities available. Youngsters can enjoy playing on our swing set, climber and slide and can also participate in our weekly children’s playgroups. Up on Chappy for the summer and looking for locally grown produce and locally made crafts? Stop by the CCC porch for our farmer’s market on Wednesdays to pick up some fresh produce or a lobster roll! And don’t forget about our Annual Chappy Fair in July or our fantastic yearly Calendar Contest. Check out our Activities Page for more details. In the winter, year-round residents and occasional visitors get together twice a month to share a potluck dinner, exchange news and talk with friends and neighbors. Special dinners honor our Chappy Ferry captains and celebrate Christmas Eve. No matter when or in what season you are on Chappy….the Community Center is a great spot to foster new friendships and catch up with old friends. Check out our Calendar page to find out what’s happening at the Center! Donate to the CCC while you shop! Copyright © 2019 The Chappaquiddick Community Center, all rights reserved.